What’s The Difference Between Being Selfish And Being Self-Aware? Sometimes, in therapy, I find myself explaining the difference between being self-centered or selfish, and being self-aware. Selfishness is putting yourself, your own needs, in front of someone else’s, most of or all the time. If there’s pie, he grabs the last piece. If a child needs to be picked up, she has an appointment she can’t miss, so you have to leave work. Sometimes, it can’t be helped. But if it happens all the time, then it’s selfishness. Being self-aware? My definition is simple. Keeping in mind your own needs or wants, and treating them with as much consideration as you treat others’. Yours don’t always rise to the top of the needs/wants/time available chart, but they do — enough of the time. The important word there is “enough.” There can be a lot of variation there. Sometimes, that’s not a lot, because we all get really, really… really busy. But it has to be enough. You could call it good self-care. Someone who has PHD may not recognize these distinctions. They may not know the difference between being selfish or being self-aware. They may not have been taught or treated as if their childhood needs and wants were significant. “Nobody asked you… You shouldn’t be hungry, we just ate… You need to call and tell your friends your birthday party is off. Mommy’s tired.” This often occurs in families where there’s abuse or neglect, where parents have more of an authoritarian style of parenting, or where secret addictions were present. You are consistently handed out subtle (and not-so-subtle) messages that if you want or need something, it doesn’t matter. And you continue that belief into adulthood. If this is you, or someone you care about, please reconsider that message. You’re as important as everyone else. 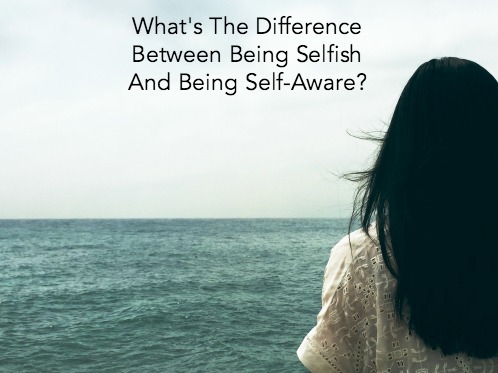 So what can you do if you struggle with knowing the difference between selfishness and being self-aware? 1) Confront your own “selfish” label. Ask yourself if you would tell someone else that they were being selfish if they took a walk for an hour instead of doing laundry. Usually when you apply to yourself what you would say to someone else, you have to laugh at the irrationality of what you’re thinking. 2) Being self-aware can increase the likelihood of vulnerability. 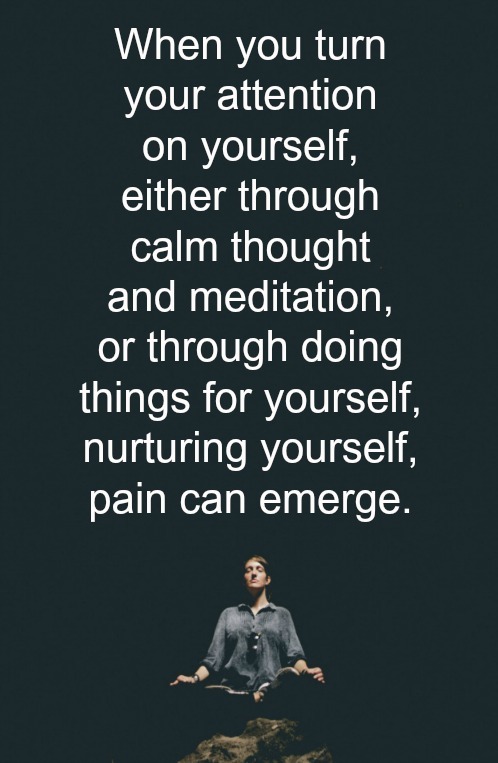 When you turn your attention on yourself, either through calm thought and meditation, or through doing things for yourself, nurturing yourself, pain can emerge. You’re giving yourself the message that you’re important — one that maybe you never received before or didn’t receive appropriately. I have had certain kinds of massage where tears came to my eyes for reasons that I didn’t understand, for example, but my body seemed to be responding, and I felt a deep emotional wrenching in my gut. You have to be ready for that. It can be very cleansing. The same thing happens in therapy. That’s why it can be healing. 3) Risk doing something, at least once a week, that’s just for you. Even it it’s a small thing, like taking 30 minutes to sit down and read. Or take a drive out in the country. Or call a friend (remember actually talking on the phone…??). It will feel awkward at first, but it’s so worth it. I realize I have totally left out the other half of this equation – the selfish folks. What exactly makes someone selfish? They were children who learned that if they didn’t grab that piece of pie first, or somehow make the world all about them — that they wouldn’t survive. There’s a whole other kind of insecurity there. But that will be for another post. But they deserve compassion as well. Thanks so much for reading. SUBSCRIBE and you’ll receive my posts weekly in your email. You’ll get a free copy of my eBook, “Seven Commandments of Good Therapy” as well, a basic guide to choosing a therapist. You can always email my privately: askdrmargaret@146.66.99.73.